“The only time something like that would come to light is if there was a final disciplinary action, and there was none in this case,” he said. Irwin did not respond to several messages seeking comment Thursday. It’s not clear if the probe was sparked by a union complaint filed a month before, which called for an investigation into Irwin for his “demeaning treatment” of one officer. That complaint accused Irwin of having “verbally abused, harassed and bullied” one officer. It also alleged that the chief pressured him to “fabricate” a traffic violation in order to stop a car that was part of an ongoing investigation, later punishing him with a demotion after the sergeant protested. Irwin last week said he stepped down from the office because it was interfering with his campaign. 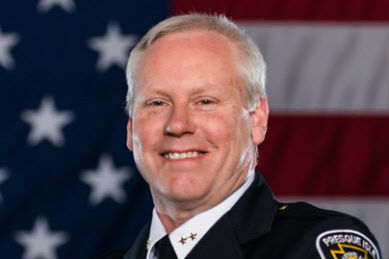 “Moving forward in this campaign, it has become increasingly clear that the confines of being the chief of police, as they related to discussions of candid police matters in our community, may be counterproductive to a direct and forthright conversation with the public,” Irwin wrote in his resignation letter. Irwin was hired by the former City Manager Jim Bennett in February 2011. He came to Maine from the Orange County Sheriff’s Department in Florida, a county that includes Orlando and where he worked some high profile cases. His role investigating the widely publicized Casey Anthony case earned him scrutiny for aggressive interrogation tactics. He generated some controversy while serving in Presque Isle, too. In June, he instructed his department to adopt a widely discouraged method for testing deadly street drugs, such as fentanyl, that several members of his department protested as unsafe. The practice — where officers field test the drugs in a pouch instead of a lab, putting them at risk of exposure and overdose — was never put in place, the city manager later said. The sheriff’s race pits Irwin, a Republican, against the current deputy chief, Democrat Shawn Gillen. Election Day is Nov. 6. Last week, every Aroostook County police chief endorsed Gillen. Correction: A previous version of this story mentioned misstated the number of candidates running for sheriff.